The Basilica of San Petronio, an independent monument that doesn’t belong to either the Curia or the City of Bologna, required some internal and external restoration work. 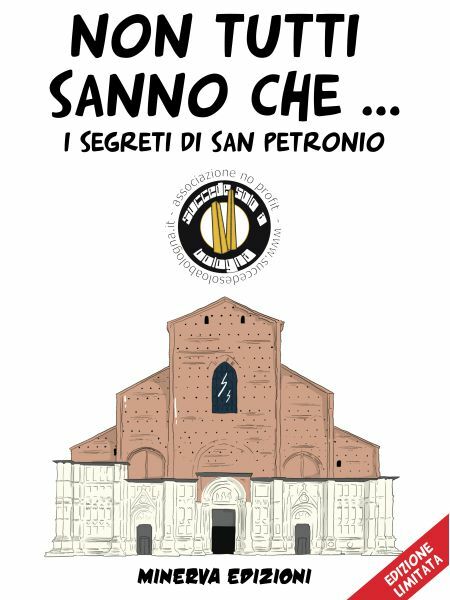 The project “I Support San Petronio” was born with the goal of completing these works, spearheading a fundraising campaign that lasted 12 months (January 2016 – January 2017) and aimed towards the restoration of the central nave, the sidewalls, some of the 22 chapels, and the front of the apse facing Piazza Galvani. The project was a success, resulting in the collection of €206,165 and exceeding the previously set target of €200,000. The project was introduced to the public on January 30, 2016, when we organized a concert in the Basilica. 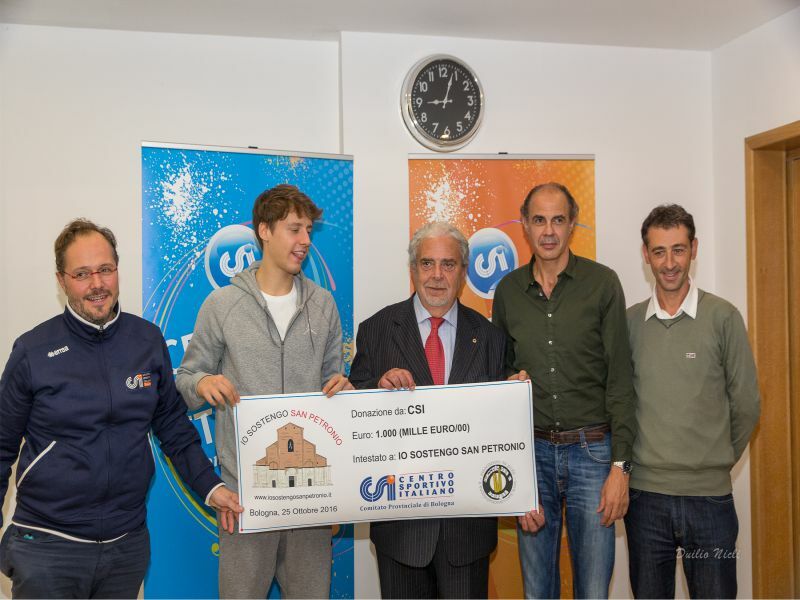 Through tours and the event, the people of Bologna were invited to participate with donations. There were traditional tours with interesting facts and anecdotes about the basilica, and it was possible to visit the San Petronio bell tower with a performance by the bell ringers of the basilica. There were also tours organized inside the San Giacomo Chapel and people were able to view the remains of Elisa Bonaparte, sister of Napoleon. Last, but certainly not least, were the tours of the San Petronio attic. On these occasions, the Succede solo a Bologna guides accompanied Cardholders to the tallest point within the basilica, where the scrawls left by centuries of workers can still be read. 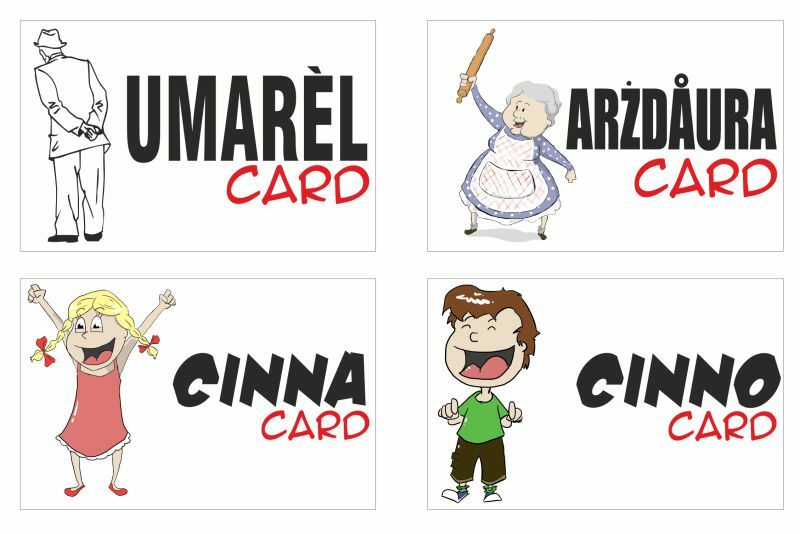 The Card represents three essential figures in Bologna: the Umarèl, the Arzdaura, and the Cinno (or Cinna), giving Cardholders the right to enter San Petronio’s attic with a guided visit. The contributions from various companies and associations also played a vital role. Among these, we thank the Rinaldi Family Foundation for the donation of €100,000. 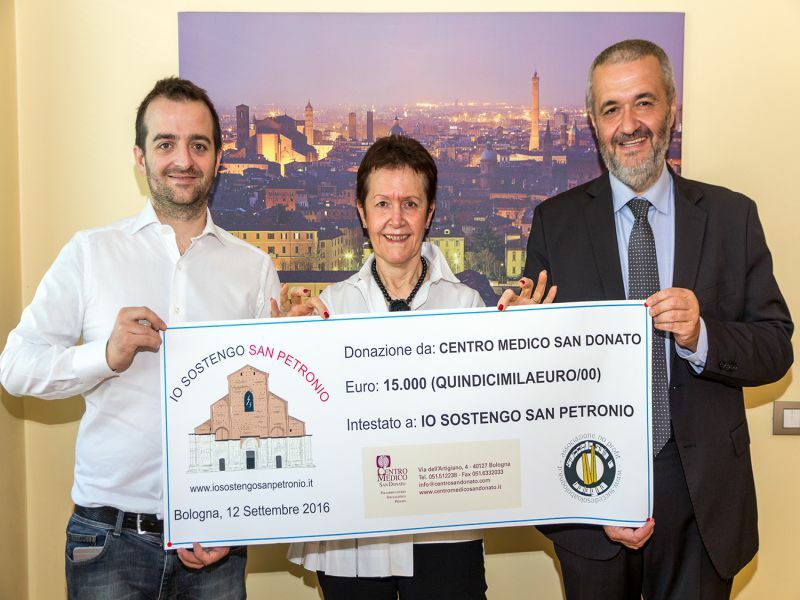 Thanks to this donation, it was possible to start the restoration of the Santa Croce Chapel, which then took the name of the Foundation. They weren’t alone though. Several Bologna companies participated, including the Medical Center of San Donato, Cotabo, Pilot Italia, Emil Banca, Gico System, Ascom Bologna, Lavoro Più, Pulizie Deanna, Agnos Drone, and many others. The history of the San Petronio Basilica goes back to the 14th century. Its facts and history are the main subject of our seventh book “The Secrets of San Petronio”, which provides more than 90 interesting facts about the basilica. Did you know that it contains the world’s longest meridian sundial? Or that part of the Council of Trento took place here? 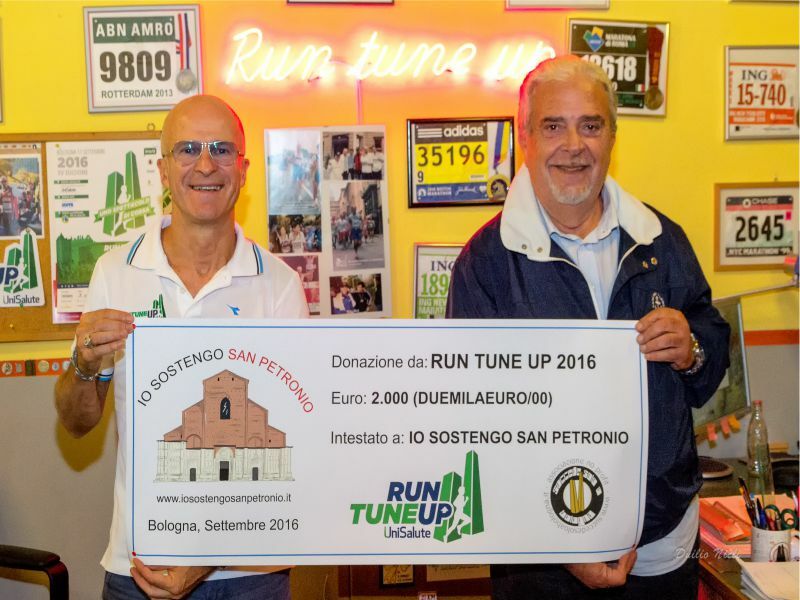 This trivia, and much more, is shared in the book, the proceeds of which have been put towards the San Petronio fundraising campaign. Among the gifts awarded to the fundraiser participants was the chance to enjoy a Happy Hour in an exclusive location: the panoramic terrace of San Petronio. 50 meters high, the terrace allows visitors a special view of Bologna from above. There have been many themes designed for the Happy Hour: wine tasting, apéritifs, and evenings dedicated to local cuisine such as tigelle and crescentine, all of which were quickly sold-out. It is also possible to simply enjoy the view from the panoramic terrace of San Petronio by purchasing a €3 ticket at the entrance in Piazza Galvani, all proceeds of which go to the “Io sostengo San Petronio’’ project.